Out-of-Body Experiences: All in the Brain? In a nutshell, the English patient’s experience seemed quite realistic, whereas the Swiss patient’s experience was unrealistic— fragmentary, distorted, and illusory. In fact, a thorough review by one of us (Holden) of three classic books reporting extensiveOBE research [Green (1968), Gabbard & Twemlow (1984), and Irwin (1985)] and one very recent review of the entire OBE research literature (Alvarado, 2000) reveals that the English patient’s OBE is quite characteristic of OBEs in general, while the Swiss patient’s is highly uncharacteristic. Regarding bodily distortion, for example, Holden found only one reference to bodily distortion during OBEs: a single instance reported by a person diagnosed with schizophrenia (Blackmore, 1986). Also Gabbard & Twemlow (1984, p. 118) after reviewing hundreds of OBEs, concluded that “body image disturbances [are] unusual” during OBEs, even though such disturbances are commonly experienced whenever we fall asleep or are just beginning to wake up from sleep. The absence of body distortion in spontaneous OBEs is substantiated by another one of us (Long), who reviewed hundreds of first-person accounts of spontaneous OBEs and NDEs submitted to his research websites (www.oberf.org and www.nderf.org); none of them included either distortion of body image or illusion of bodily movement. A second important difference revealed by comparing the Swiss and English patients’ experiences is the factor of lucidity, defined by Webster’s dictionary as “having full use of one’s faculties” and finding an experience “clear to the understanding.” Presumably, the Swiss patient would have been surprised or confused when, right after taking evasive action, the physicians discontinued electrostimulation and she found that her limbs were not at all where she had just perceived them to be. By comparison, the English patient’s description conveyed psychological continuity—his OBE perceptions were followed by perceptions in bed that confirmed each another—indicating that during his OBE he had full use of his faculties and found that experience clear to his understanding. He was lucid. 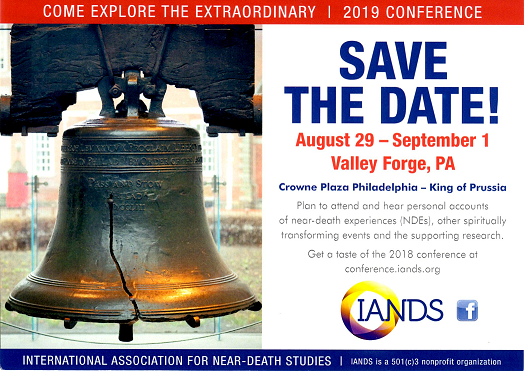 Furthermore, Long reports that most spontaneous OBEs, and the great majority of OBEs within NDEs, reported to his website have involved lucidity. This attribute of lucidity is related to Holden’s observation of reality in transpersonal experiences. Once a person has returned to everyday consciousness, they look back on their transpersonal experience as having been real, or at least potentially real. By contrast, after a dream or a hallucination, when people regain everyday consciousness they don’t say that the dream or hallucination was even potentially real. Presumably, the Swiss patient would concur that at least much of her outof- body perception was illusory rather than real. Conversely, the English patient, and most other spontaneous OBErs, have reported their sense that the experience was real. [An interested reader may review directly the many OBE and NDE accounts posted on the Internet at three sites, www.iands.org, www.oberf.org, and www.nderf.org, to see the striking difference between the experience described by the electrostimulated patient in the Nature article and the experiences of spontaneous OBErs].